Every parent at Holy Trinity is a member of our PTO. We are happy to have you and are blessed by your volunteering of time, talent and heart. Room Parent positions for the 2018-2019 school year are now open on School Speak (under the PTO section). This is a great way for new parents to get involved. Sign up now! Leadership Opportunities are posted in the lobby of school. Look for new ways to support our school with your talents! Billing for Sharepoints begins June 1st. 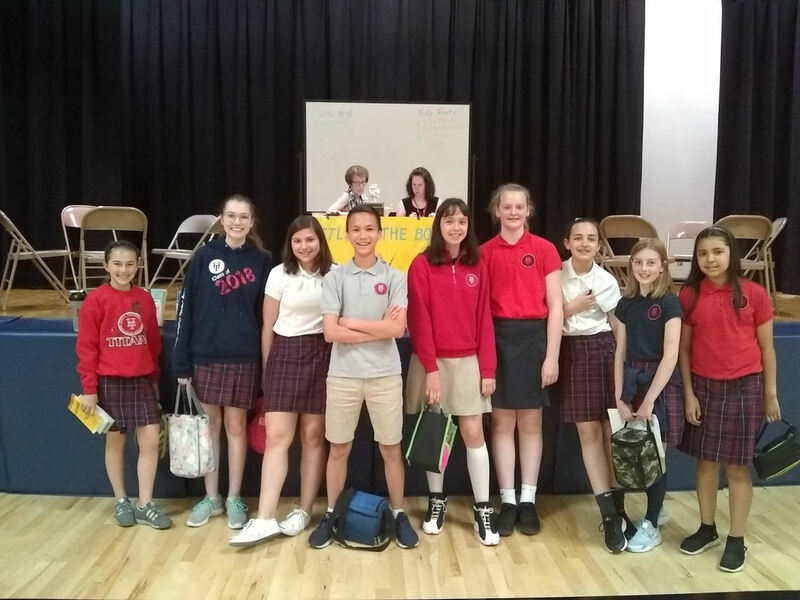 Congratulations to all of our students who chose to participate in Battle of the Books! 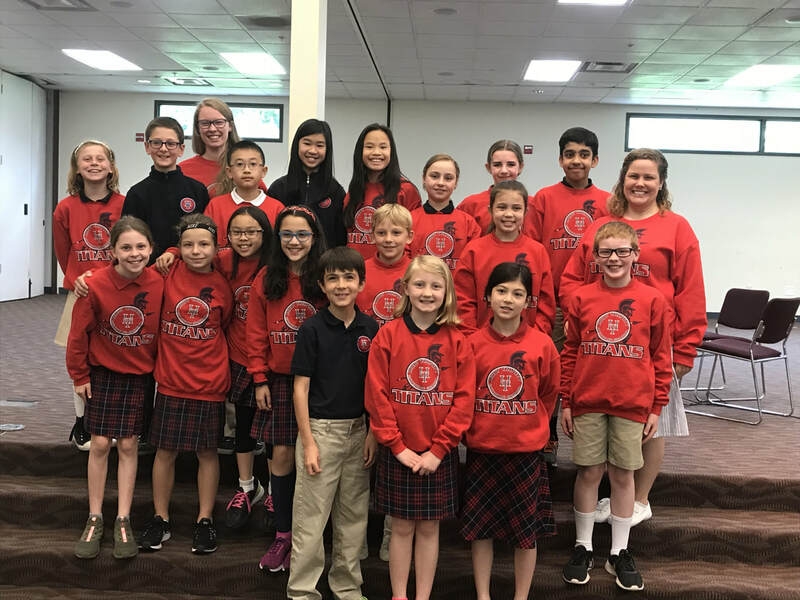 These students volunteer to read 3-10 books and compete in a battle of reading competition and memory skills. Our 4th and 5th Grade Team finished 3rd! Our 6th, 7th and 8th Grade Team finished 2nd in Round 1. They have their final battle tomorrow versus St. Pius X at 11:25am in the Fireside Room. Good Luck! 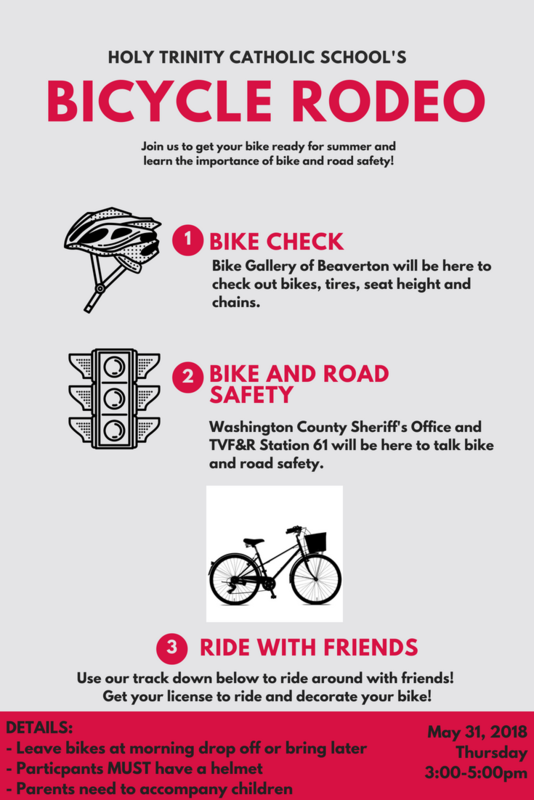 To end our school year as a community and to start our summer safely, we are hosting a Bike Rodeo! Join us Thursday, May 31st from 3:00 to 5:00 with your family and your bikes. This weekend featured some of the greatest performances in quite some time for Holy Trinity Track and Field. We now own the CYO record for Cadet girls long jump at 17'1.5". Henry Tierney lit the track on fire in the finals of the 800 m Cadet boys to win with a time of 2:07.87 (for those not accustomed... that's a half mile! This is a new club record). Hope Hansen continued to impress with a massive put of 20'3.25" in the girls road runner shot put to take 3rd place (and re-break her club record!). If you notice a few families that sound like they lost their voice... it's probably because they stuck around for the Cadet boys 4 X 400 m relay - where our boys took 2nd place with a blistering time of 3:57.93 (that's a mile!). The HT cheering section was quite vocal! ​​This has been a great season and we already looking forward to next year. Good luck to Henry Tierney as he represents Holy Trinity in the State of Oregon Middle School Meet of Champions this Thursday in Corvallis in the 400 m and 800 m races. Watching him progress through the years has been beyond inspiring and I can't wait to see what he does in this meet!